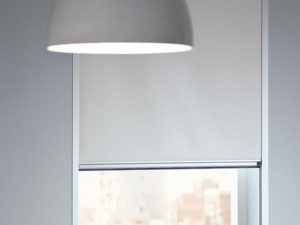 Roller blinds from First Choice Blindsare simple in design, stylish and easy to operate. First Choice Blinds roller blind collections are an exciting mix of fabrics specially selected to complement and coordinate with any room in the home. Whether it’s one of our modern designs for your living room, a blackout fabric for the bedroom or a water resistant print for the bathroom, all our blinds are individually manufactured to your unique specification. Whether the look you want is simple yet sophisticated or glamorous and elegant, our Irish manufactured roller blinds will look fantastic in any room in your home. 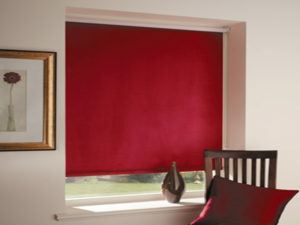 Each made to measure window blind is tailored to your individual requirements. Roller blinds can create any type of mood or look that you desire and will allow you to express your personal tastes in any room. 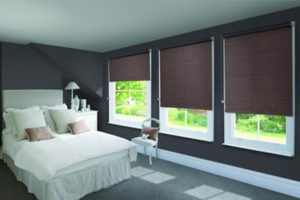 We can even make your blind using energy saving fabrics. Choosing fabrics with enhanced insulating properties will reduce heat build up in summer and heat loss in winter, reducing heating and cooling costs in your home. Our new Vision style duo roller blind is easy to use. A single control is used to slide the opaque and translucent woven stripes past each other. The same operation is used to raise or lower the window blind to any height in the window with ease, in the same way the classic roller blind would. The front layer moves independently of the back allowing the stripes to glide between each other creating an open and closed effect, with limitless light control. Sliding the fabric into a closed ‘opaque-opaque’ position allows full privacy and an impressive block of beautiful fabric at your window, whilst the ‘translucent-opaque’ position creates a stunning striped statement. Our window blinds are always designed with safety in mind and there are a number of options for you to choose from, including Soft Rise spring blinds, Senses®, Perfect Fit® and now OneTouch™ motorised solutions too, making luxury affordable.